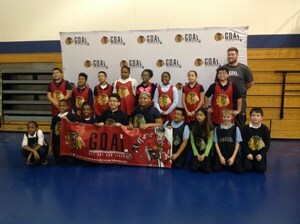 The Chicago Blackhawks brought their GOAL Hockey clinic to Hillside School. Actual team staff held a clinic on floor hockey and donated equipment including 30 sticks, 30 balls, 30 pinnies, and two nets! 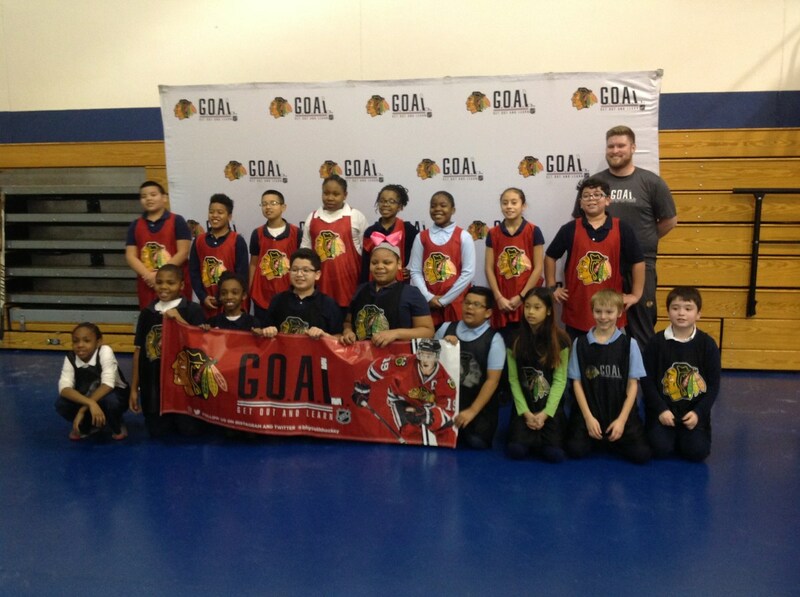 We are greatly thankful to the Chicago Blackhawks and Mr Kemper for organizing this event!